Package includes Lescana Paramount Series 100 Pack Clarinet Reeds (Strength 3). Lescana Paramount Series Reeds are hand finished using only the finest quality materials. Lescana Reeds produce an exceptional sound. Package includes Lescana Paramount Series 100 Pack Clarinet Reeds (Strength 3). Lescana Paramount Series Reeds are hand finished using only the finest quality materials. 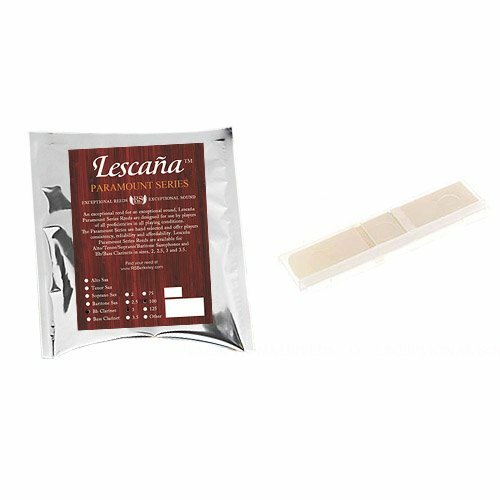 Lescana Reeds produce an exceptional sound. If you have any questions about this product by Lescana Paramount Reeds, contact us by completing and submitting the form below. If you are looking for a specif part number, please include it with your message.